This year has been extremely kind to Greensky Bluegrass thus far and it seems that the band only continues gaining momentum and playing to larger and larger crowds with each passing run. Today, the Kalamazoo-bred band announced a 42-date run that will take them coast-to-coast (including a stop at the 2013 Austin City Limits Festival) with support from bands like Elephant Revival, Fruition, Toubab Krewe, The Grant Farm + The California Honeydrops joining them along the way. In the immediate future, GSBG will return to action on 7/30 for a Phish after-party in Lake Tahoe. 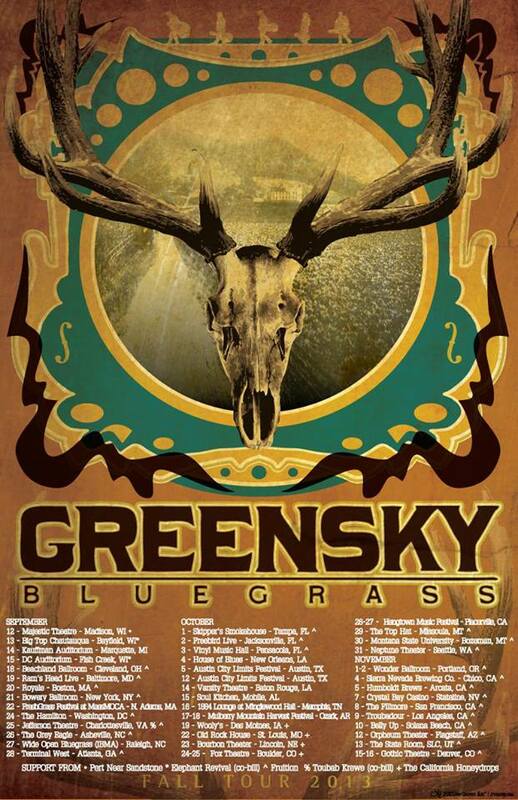 Check out the dates on the poster above and for ticketing info and updates, visit Greensky’s tour page here.